If we don’t get good solutions to them! Hence the Future belongs to affordable Generics globally! The Oncology Plant will cater exclusively to Oncology products. Taj Phamra group is present in over 40 countries and has around 6,000 employees across 15 plants. Taj Pharmaceuticals India Formulations, a subsidiary of India Drug Company company Taj Pharma Group, has opened its first R&D and pharmaceutical manufacturing facility with an initial investment of Rs 100 crore in Daman. The company plans to produce anti-cancer products oral solid dosage forms, including anti-cancer tablets, anti-cancer capsules, anti-cancer hard gelatin capsules,anti-cancer Liquid Injections and anti-cancer Lyophilized Injections. This would be one stop for 130 oncology products which will cover major type of anti-cancers. “This is only the first step. We plan to invest more in Oncology Segement,” Taj Pharma Group director Abhishek Singh said on Wednesday. The group is present in over 40 countries and has around 6,000 employees across 15 plants, 10 R&D centres and 33 affiliated companies, according to the company. India is on its way to becoming one of the biggest pharmaceutical producers in the world and many companies import their medicines and other pharmaceuticals from India. The reason being quality medicine being produced at cheaper rates and the comparative lack of red tape means better distribution and taxation policies in the country. Taj Pharmaceuticals is one of the most prominent Pharma companies in the country and has been ever expansive, becoming a major pharmaceutical force in more than 40 countries across the globe. Taj Pharma is an all-encompassing company with facilities dedicated to research and development, testing and drug manufacturing. As an aspiring leader in pharmacology and pharmaceuticals, Taj Pharma maintains and excels the absolute highest industry standards, which is evident by the number of countries willingly importing their product. Taj Pharma is a composite of all the above-mentioned operations. The company is wholly dedicated to improving the quality of life of the people dependent on their products for survival. They have operations in every major market in the world and their products are under constant scrutiny by the various regulating bodies all over the world. The stringent multi-level internal quality control is what helps Taj Pharmaceuticals manufacture the highest quality products. Their manufacturing facilities, located in Valsad, Gujarat, and Raigarh, Maharashtra are WHO-GMP approved and subjected to regular inspections by the internal quality control team and the Managing Director (MD). This dedication to maintaining and exceeding quality regulations is what sets them apart from their peers. Their products cover a plethora of generic and branded compositions catering to a multitude of consumers all over the world. 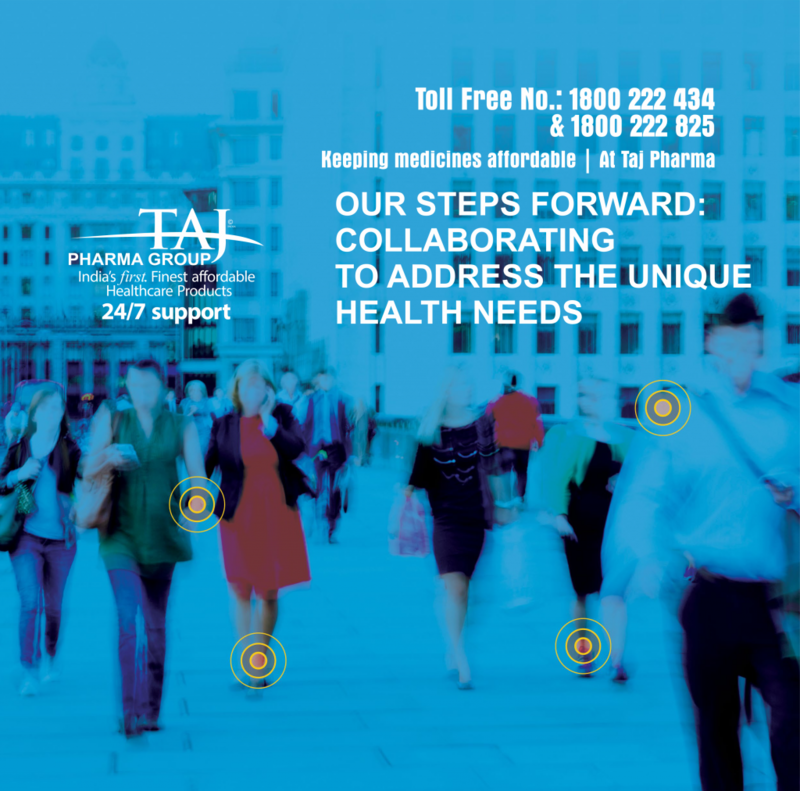 The exemplary work done by Taj Pharmaceuticals(Reviews) has made them a trusted household name. They are constantly striving for excellence which is evident by their Research and Development facilities which are always willing to tackle new challenges. Taj Pharma is not just a pharmaceuticals company. It is a vision; a vision to provide quality health care for everyone, to alleviate the suffering of people and to promote excellence in all spheres by giving access to the best and most well-researched products modern science has to offer says Abhishek Taj Pharma.